New York may characteristically be a city of straphangers, but there are still millions of city residents who keep cars. If you’re one of many who have taken on the (oftentimes regrettable) responsibility of car ownership, you know that the biggest challenge faced on the streets is the task of parking. Every year the city issues around 10 million parking tickets with fines running from $65 all the way up to $300. While no driver is ever shy about sharing their rage when being met with one of the pesky orange rectangles on their windshield, most will pay those violations no questions asked. And that’s a problem, according to lawyer Larry Berezin, who says a very large percentage of NYC tickets are scam tickets. 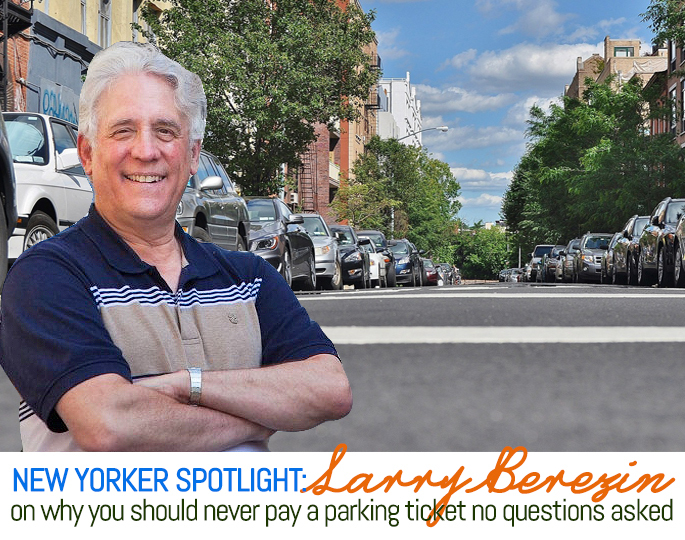 Larry is the CEO and founder of New York Parking Ticket, a consulting company with a website that provides comprehensive, easy to understand, FREE advice on how regular folks can beat the racket that is NYC parking. “There are ways to fight these tickets, but you need to be armed with the right information,” Larry says. We recently spoke to Larry to find out more about what he does and to get some expert advice on how to beat that ticket currently hanging on your fridge. 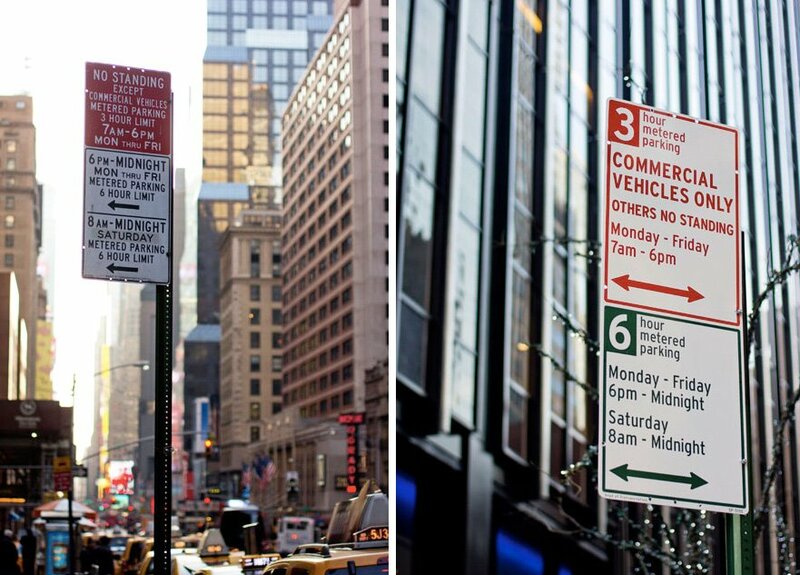 6sqft: How did you get into the business of fighting parking tickets? Larry: Well, I was a lawyer for about 30 years in New Jersey and I got an itch after 30 years that I couldn’t scratch. I wanted to do something different. I fell in love with internet marketing and I came into parking tickets because there was this guy who fought commercial tickets that had no website. He didn’t have any way to get what he was doing out to the public and we got together. But when I looked at the landscape, I realized there was nobody out there giving anyone information about New York City parking. There were so many illegal tickets being written. I just said it can’t be. My philosophy as a lawyer was if you work in a community, you have to give back to the community. And if my community is going to be people in New York City that get parking tickets, well, how can I help them? I decided I was going to open up the curtain and put out as much as information as I could. Thus emerged the blog and all this stuff on my website. Now people at least have a place to go for free for help. 6sqft: How many visitors do you get to the site? Larry: We’re up around I would say 1,500-1,600 views a day so I think that translates to about a thousand visitors a day. 6sqft: Do you have any idea how many tickets are illegally issued? Larry: Here’s the thing, the statistic you read is that you have about ten million tickets issued every year in New York City. Of ten million, only about three million are contested. Most tickets are paid, no questions asked, which is ridiculous because of those three million about 50 percent are dismissed when people fight them. 6sqft: What makes you especially good at beating tickets? Larry: I’m not great about talking about myself so let me think about some of the things. I guess the generalization would be there are things that I’m able to do looking at tickets and proving that the “Evil Empire” (the Department of Finance, which collects ticket cash) is wrong. I can catch discrepancies that a lot of people can’t and I know how to prove when someone is in the right. I can also prepare the exhibits properly because it’s not so much recognizing your law; you know you were given an illegal ticket but what you might have trouble doing is preparing the right exhibits to fight your ticket. I love finding a defect and being able to prove it properly, especially those fire hydrant tickets which are $115. I also try to make it a little bit fun. I don’t say “Jerk, why didn’t you read the sign? !” Empathy is important to people. Why didn’t you read the sign? Well, if I was sitting in my den with no distractions maybe I could have, but you have three seconds to read a New York City sign and maybe there are four of them on top of each other. You can’t replicate that practice. 6sqft: There’s a company out there that allows you to submit your ticket to them via an app—it’s called WinIt—and if they beat your ticket for you they collect just half of what you’d otherwise owe to the city. How do you feel about services like that? Larry: Well, first of all, an app doesn’t fight tickets, people do. When you submit a ticket to an app, ask yourself who is actually behind the app fighting the parking ticket. Many of these guys are really experienced doing commercial tickets and there’s a lot of pitfalls in trying to help folks with passenger tickets. I do love the idea of an app, because at the end of the day I want people to win their fight, but the reality is an app can’t fight your ticket. What makes the service good depends upon who the people are working for you and what they’re doing. For example, right now, all I do is tell my clients to send me a picture of their tickets and I look at it. In this respect I could call myself the “Larry App”—it’s 35 years of law and Larry behind the lariat who will look at your ticket and let you know if you have a defense. 6sqft: What are the most common violations that people get busted for when they’re usually in the right? 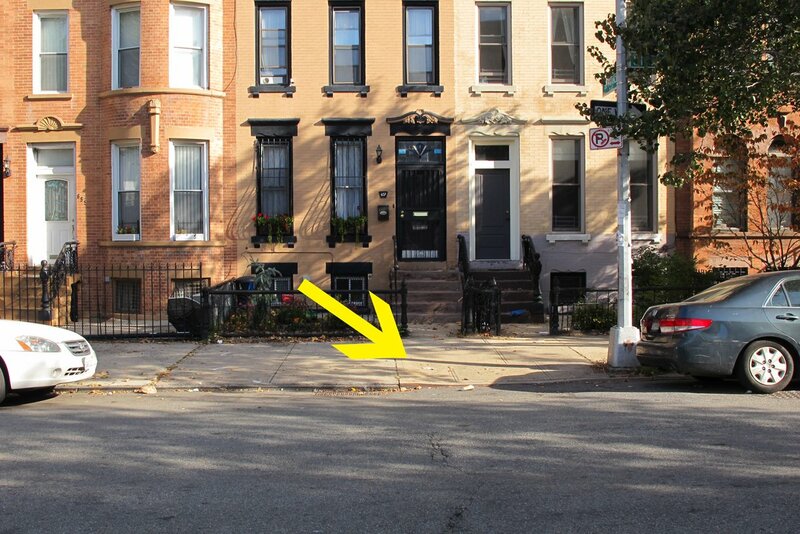 Larry: The pedestrian ramp is the biggest scam because it’s perfectly legal to park in front of a mid-block pedestrian ramp that has no crosswalk or traffic control devices or signals. That one is a scam because they’re still issuing $165 tickets that they know are illegal. The other thing is for people from out of state. I have a guy from Michigan and he drove a large refrigerated truck as a delivery guy. He got a ticket for double parking in Queens while making a delivery. There should be more serious consideration given to obvious situations where the person’s out-of-state and clearly never double parked in Queens on Christmas Eve with a delivery truck before. There’s a lot of pressure to produce, both on the side of the judges and on the warriors (meter maids). Some judges don’t do the right thing, but what I can tell you is New York City has a wonderful system to contest parking tickets. You can do it online, by mail, or in person, and most of the judges are honorable. If you present the proof properly you’ll win. But many people think you can just say whatever you want or just send in a picture. Well, you might as well send a picture of your family. If you send in a letter without the right evidence, you’re guaranteed to lose. What you’ve got to do is do your homework before you let your rage dictate your strategy. Don’t rant, get even. Beat the ticket. 6sqft: Obviously regular people who are looking for this kind of information love you, but how does the Department of Transportation and Finance feel about what you do? Have you ever gotten any feedback from them? Larry: Actually, I have been contacted by them, but it was to help them on a redesign of their website. Look, to the world they’re my enemies, but I just want them to do the right thing. And most of the judges are honorable; most of the warriors are honorable. 6sqft: What are the three most important things that someone should do when fighting a parking ticket? Larry: Number one, the first thing is never pay a parking ticket no questions asked. Number two, look at all the tiny bits of information that is put in the ticket and understand there are certain required elements that have to be listed correctly. For example, your plate type, your body type, your plate number, your registration expiration date, just to name a few. And if they’re wrong, you win. So it’s like the Miranda warning for parking things. If the information isn’t answered correctly you win. The third thing you do is if you see there’s a mistake, don’t just write “Oh, I found a mistake.” Try to learn how to prepare the proper proof properly. There are 99 violations. Each comes with a different set of proofs. And if you can’t figure out how to do the exhibits, get someone who knows how to help you. 6sqft: What’s the greatest part about helping folks get out of tickets? Larry: The gratification that New Yorkers get, that people from all over the country and all over the world get, from beating a ticket that’s unjust you wouldn’t associate with a parking ticket. I have a lot of happy clients. The happy ones are very nice. When I beat a parking ticket, these people are just so grateful. It’s just very, very rewarding. 6sqft: Do you plan on doing this for years to come? You’re technically retired, right? Larry: I’m 66. If you told me I could live to 90, I’d fight parking tickets until 90. When I stop spitting on myself, and as long as I have some semblance, I’ll fight parking tickets forever. 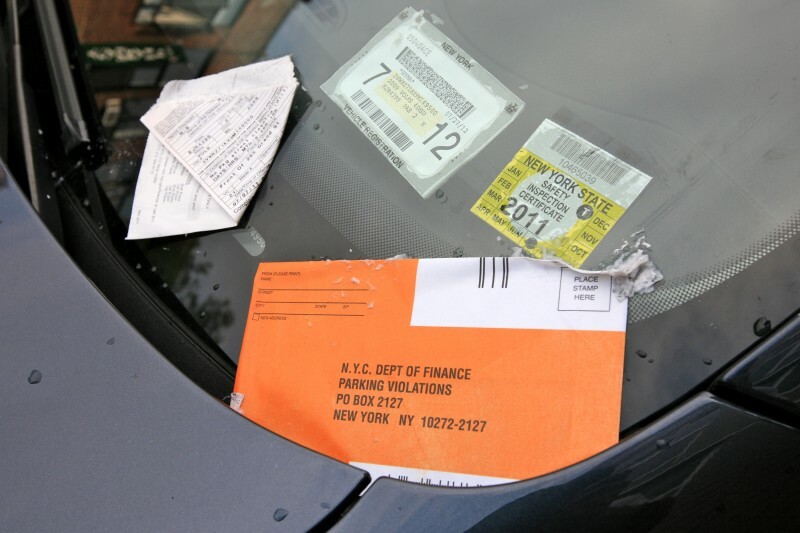 Visit New York Parking Ticket for more information. You can also visit Larry’s blog here.